QSC has two complete SMT production lines plus an SMT prototype area. Our SMT lines are specifically designed for fast and easy programming and setup, which keeps customers’ NRE costs low. We do BGA’s, QFN’s, 402’s and fine pitch down to 0.4mm. We have a Glenbrook X-ray machine and an endoscope to ensure process quality on QFN’s and BGA’s. At QSC, we are experts at building thru-hole PCBs – and with our low shop rate, we are very competitive. 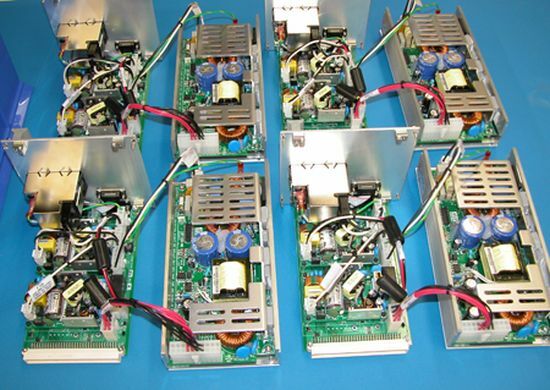 We can do ROHS or leaded assemblies, and all of our workstations are ESD safe. Our standard is IPC Class II, but we also do Class III. We can use electronic files or just a sample and a bill of material. Standard lead time is two weeks from complete kit – however, we are flexible and will work with you to meet your deadlines whenever possible. A good percentage of QSC’s business is doing repairs or upgrades of products from China. Our flexible, skilled team can do SMT, thru-hole, or mechanical modifications. We often complete products for customers. 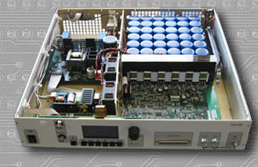 We can build the PCB assemblies, test them and then integrate the assemblies into a final product. We can pot with 3M Scotchcast or customer-specified potting, using a vacuum pump to eliminate bubbles. We do conformal coating for the UL, CSA or harsh environment requirements (not for Mil Spec requirements). We also offer wire harness assemblies, chassis builds and modifications. Bench-top board-level testing to chassis integrated full system tests. We will work with customers to develop test & calibration procedures. We can functionally test and then troubleshoot to the component level.